Elegant simplicity. 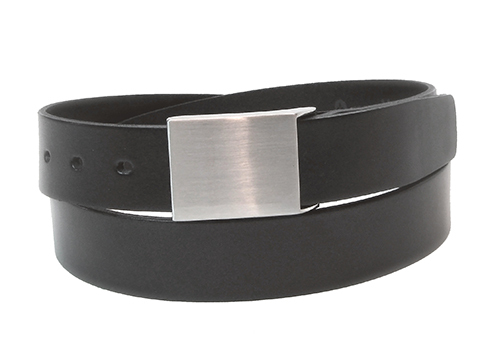 This belt is 34mm (1⅜″) wide and made from high quality Italian leather. 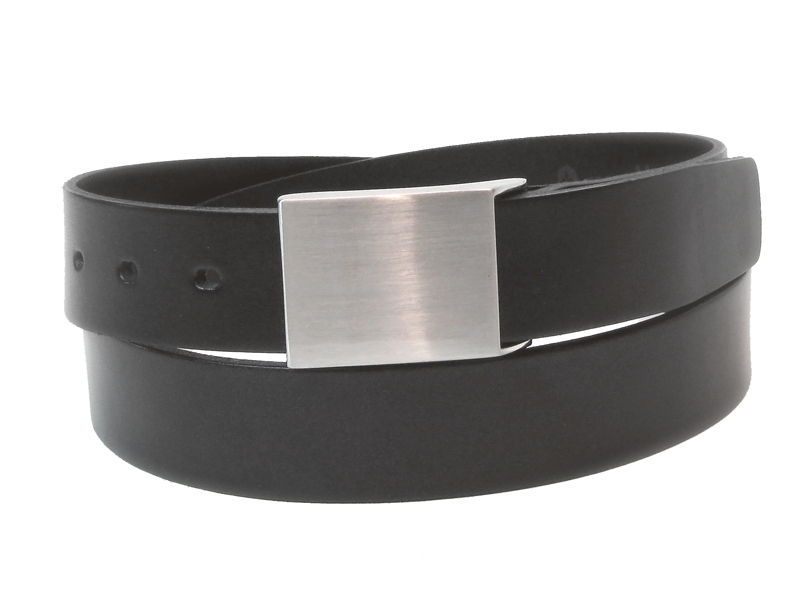 It has a brushed nickel rectangular military style buckle.